​Follow the packet mix instructions. Once cool, turn out the brownie onto a chopping board and chop into 2cm pieces. Divide in half and set aside. Place the ice-cream in the bowl of an electric mixer and beat on low speed for 2 minutes or until soft. Fold through half the chopped brownie. 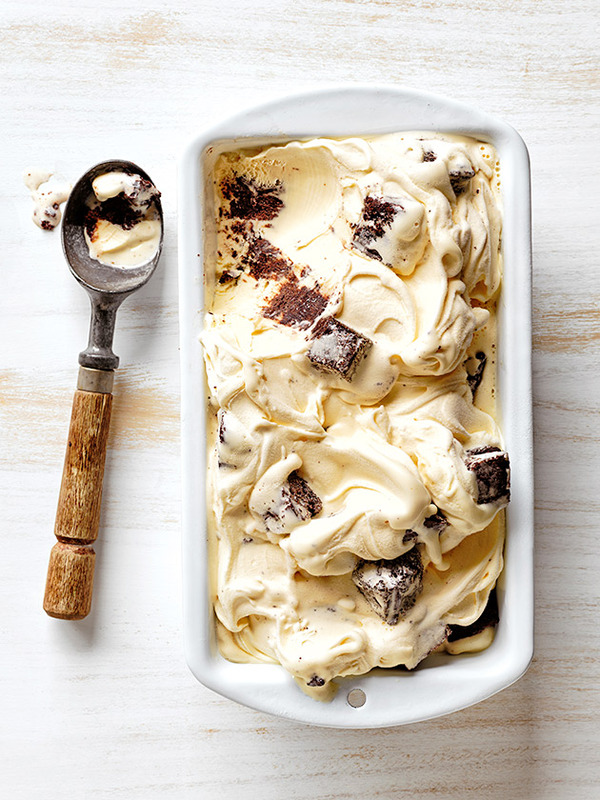 Spread the ice-cream evenly into a 21cm x 11cm metal tin. Place in the freezer for 3–4 hours or until firm. Serve with the extra brownie chunks. Serves 6–8.